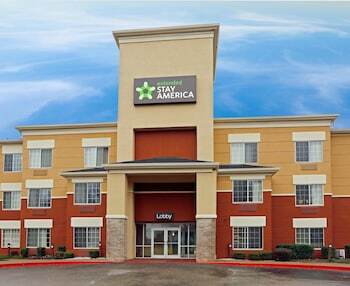 When you stay at Extended Stay America - Memphis - Airport in Memphis, you'll be near the airport, within a 10-minute drive of Graceland and Stax Museum of American Soul Music. Featured amenities include a 24-hour front desk, laundry facilities, and a safe deposit box at the front desk. Planning an event in Memphis? This hotel features 0 square feet (0 square meters) of event facilities. Free self parking is available onsite.